Skylark Blog: How are Charitable Contributions treated in a Divorce? How are Charitable Contributions treated in a Divorce? In any divorce case in Massachusetts, whether contested or uncontested, you are required by Massachusetts Supplemental Probate Court Rule 401 to file a Financial Statement. The form of the financial statement which each party must complete is dependent upon his or her income. A party whose income equal or exceeds $75,000.00 must complete the long form financial statement. A party whose income is less than $75,000.00 must complete the short form financial statement. The long form is 9 pages long and requires more details than the 4-page short form. The long form includes a line-item for Charitable Contributions deducted directly from your paycheck (on page 2) and a line-item for Charitable Contributions paid as part of your regular Weekly Expenses (on page 4). If you make regular contributions that are deducted from your pay then those should be entered on page 2. If you make regular contributions from your take-home income we suggest that you average those contributions over a year, divide by 52 and enter them on page 4. Even if you are required to fill out the short form you can include any such charitable contributions in the "other" line-items on page 2. Unless these amounts are significant, they are unlikely to have a major impact on your divorce case. If, however, you are claiming that you do not have enough money to pay your household bills when arguing for or against support, your ability to pay for non-essential items such as charitable contributions could be used to argue that you have a reduced need for support. I seldom see this issue raised however, as the amounts are usually minimal and even divorce attorneys are not likely to argue that charitable giving should be punished. 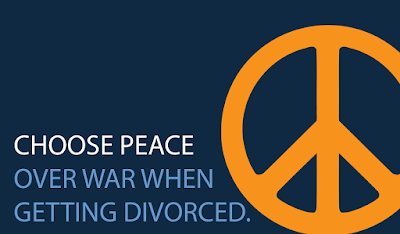 For more information about divorce contact Attorney Kelsey or call 508.655.5980. Also, if reading this post put you in a charitable mood we invite you to donate to the One-Mission Buzz-Off, which is a charity to benefit Children's Hospital Boston and the vital programs and services they provide to help kids beat cancer. In support of this charity Attorney Kelsey will GO BALD on June 3, 2012 at their annual Buzz-Off. Should I pay for my divorce with a Credit Card?